[Photo] Story of a Croissant — Triangle Pastry Co. 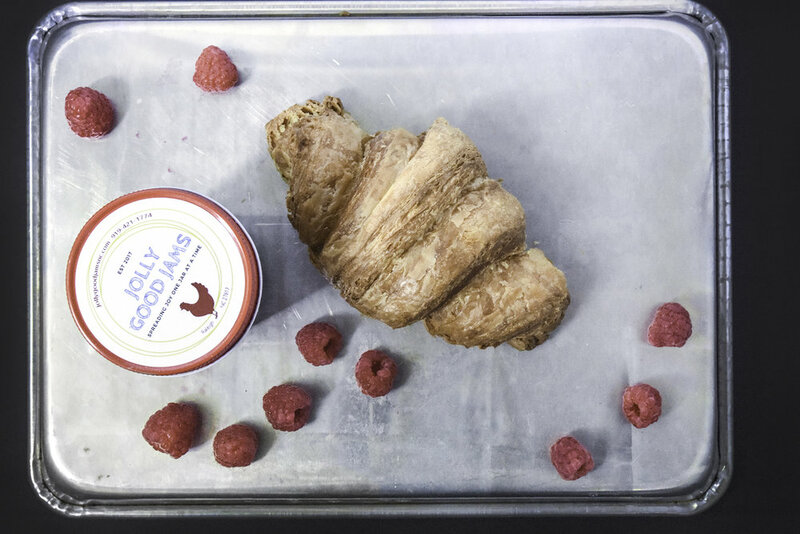 Here is one of my croissants with some raspberries. Now, here is some delicious Jolly Good Jam. 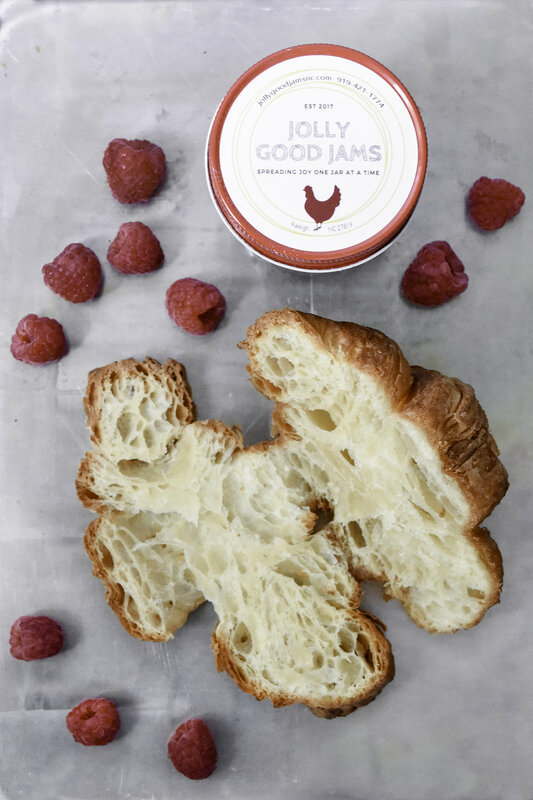 Let's throw some of that delicious jam in that super flaky croissant business. It's going to ooze out a little bit like so. And then we eat it and it's as delicious as you thought it would be.